A Police Sergeant identified as Isah Mohammed at the weekend killed a bus driver over N50 at a checkpoint along Tegina-Lagos Road near Mashegu local government area of Niger state. 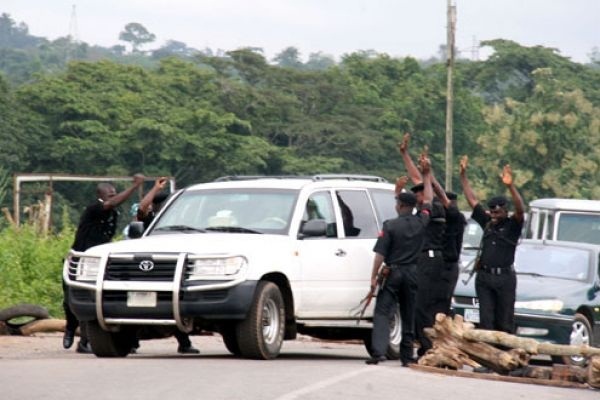 Eyewitnesses revealed that the police sergeant demanded that the driver give him N100 but the driver pleaded for N50 which he offered to the policeman. According to the Nation, the policeman was said to have insisted on the balance of N50 which the deceased driver said he could not part with as he walked towards his vehicle. Angered by driver’s refusal , the policeman reportedly cocked and fired at the driver, killing him instantly, while the conductor sustained a fracture in the leg from the shot which killed the driver and was hospitalized. Confirming the incident, the Niger State Police Command Public Relation Officer (PPRO), DSP Bala Elkana, said the affected policeman has been arrested and detained adding that the Commissioner of Police, Zubairu Muazu Abubakar has ordered an investigation.